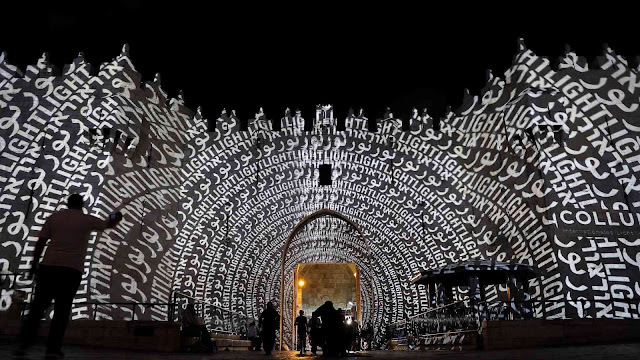 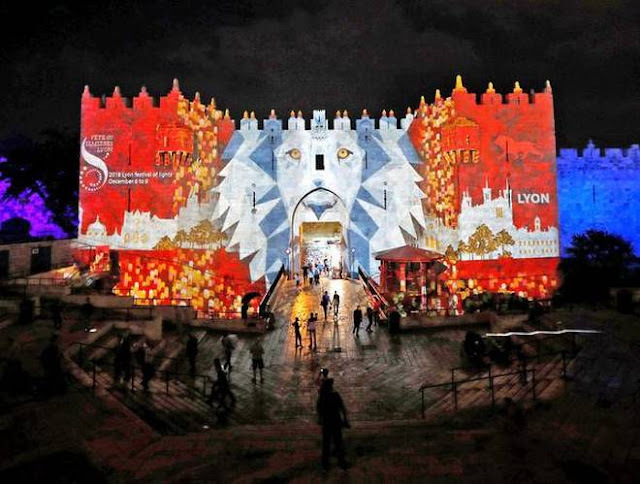 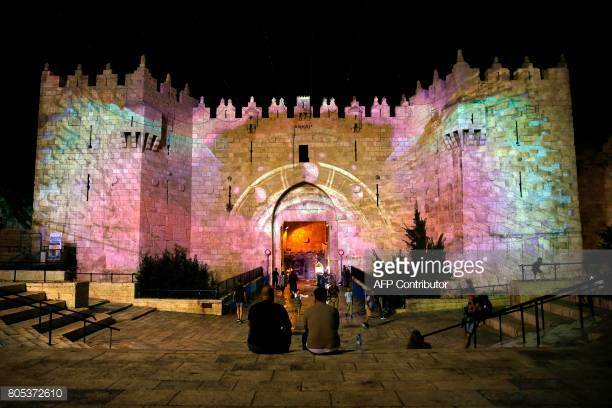 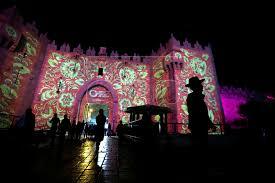 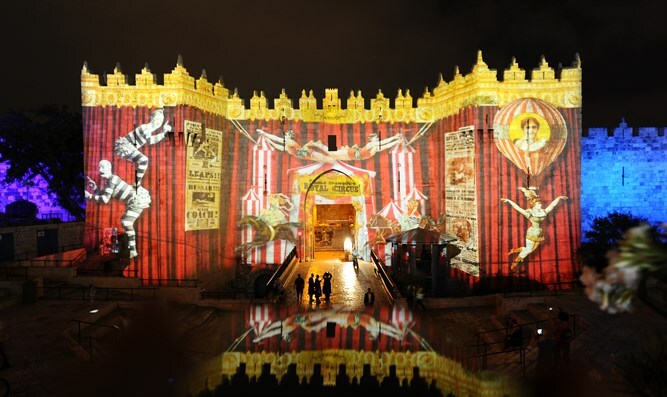 The Jerusalem Festival of Light is taking place now, where one of the features is projecting of different images on city walls. The Felesteen newspaper is claiming that Israel is projecting "Talmudic images" on Damascus Gate and elsewhere. 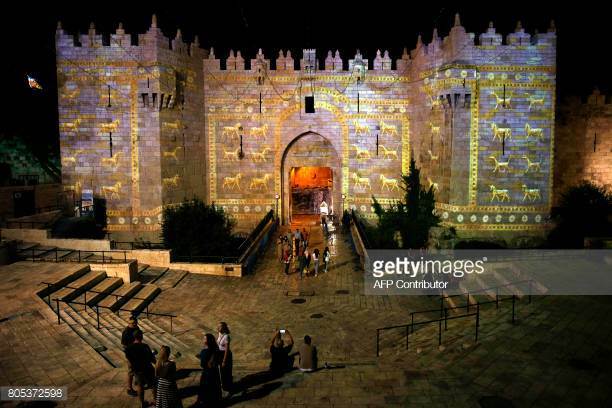 The occupation uses any Talmudic occasion to provoke all Muslims in the world by practicing its racism in the occupied city of Jerusalem by attacking the walls of Jerusalem and the Old City and practicing violations inside the Al Aqsa Mosque. 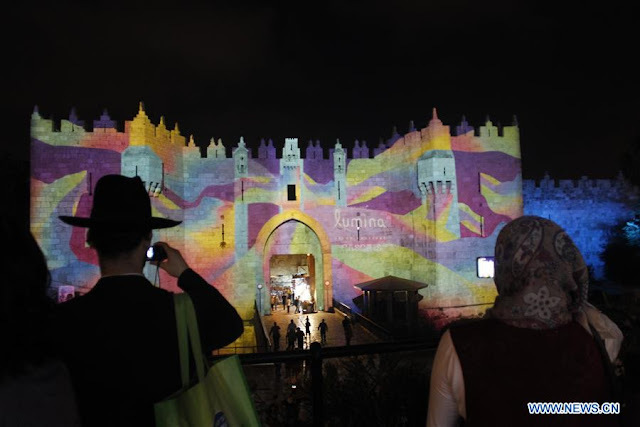 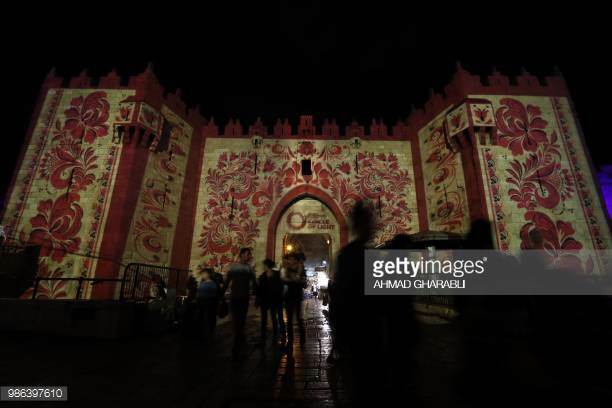 During the so-called "Festival of lights" , a few days ago, the Israeli authorities used projectors to the walls of Jerusalem in the area of ​​Bab al-Amoud [Damascus Gate], and showed Talmudic images and drawings on the entire wall with a remarkable presence of settlers and the occupation municipality and the intensive deployment of the Israeli police. 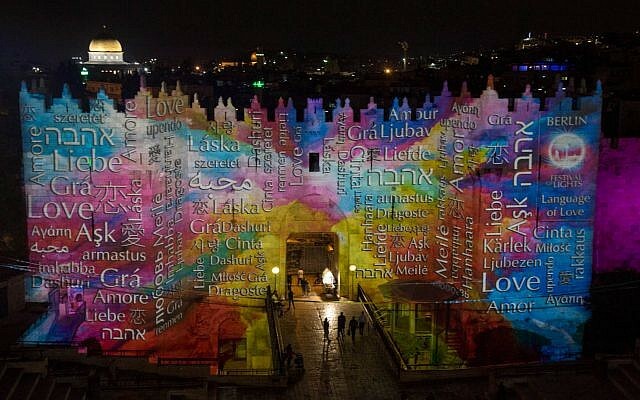 President of the Supreme Islamic Commission and the preacher of Al-Aqsa Mosque d. Akrama Sabri told "Felesteen": "These Judaizing activities in the area of ​​Bab al-Amud provoke all the Muslims of the world through the use of the walls of Jerusalem as a display of the symbols of the Talmud..."
Sabri called on UNESCO to intervene to curb these events of Judaization. 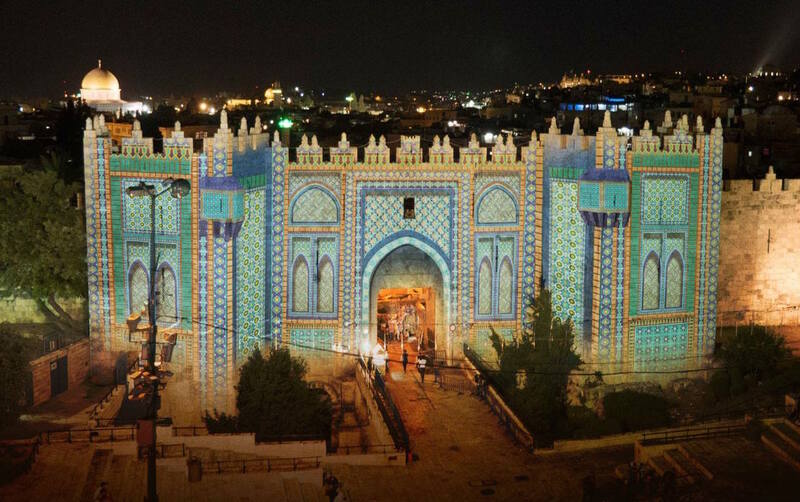 The head of the Al-Ammar Committee in the Al-Aqsa Mosque, Bassam Al-Hallaq, told "Palestine": "Judaizing the perimeter of the Al-Aqsa Mosque is a plan that has been followed for years and will ultimately lead to the changing of the entire area in the Talmudic way.